The world's largest Exercise and Flexibility Library containing more than 1,200 exercises for you to use with your clients. 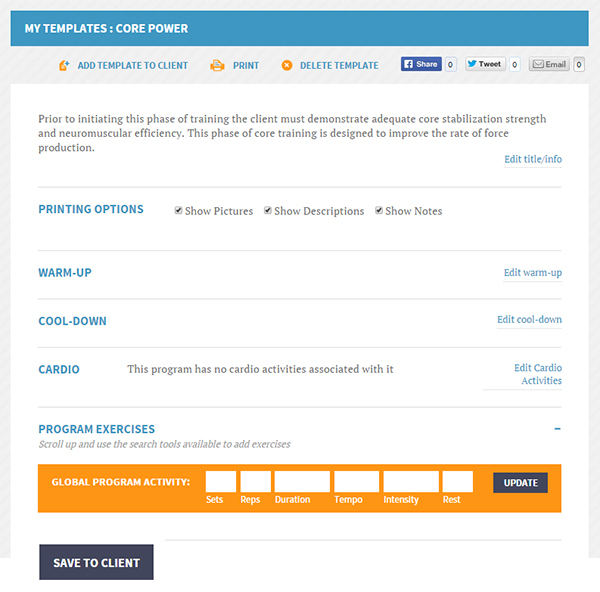 Send credible exercise programs to your clients with ease! 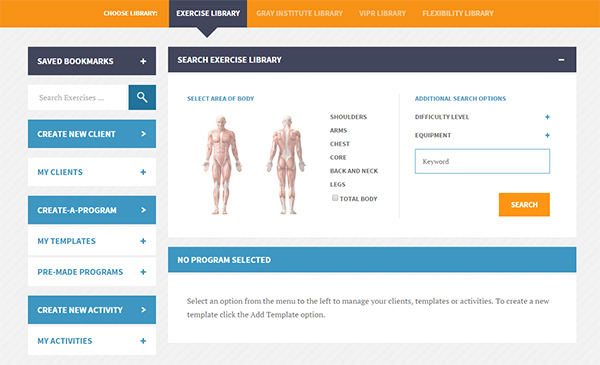 The PTontheNet Exercise Library features a Create-a-Program and Pre-Made Program functionality that allows you to design and customize programs for your personal training clients; or simply select from one of the programs already created in the Pre-Made Program library. 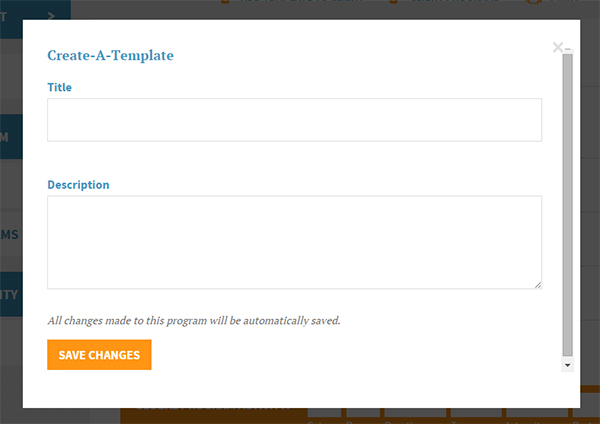 You have the ability to add exercises to your template which include pictures, videos, notes and descriptions. You can also add customized instructions for warm-up, cool-down, cardio activity; and adjust the sets, reps, duration, tempo, intensity, and rest for each exercise. 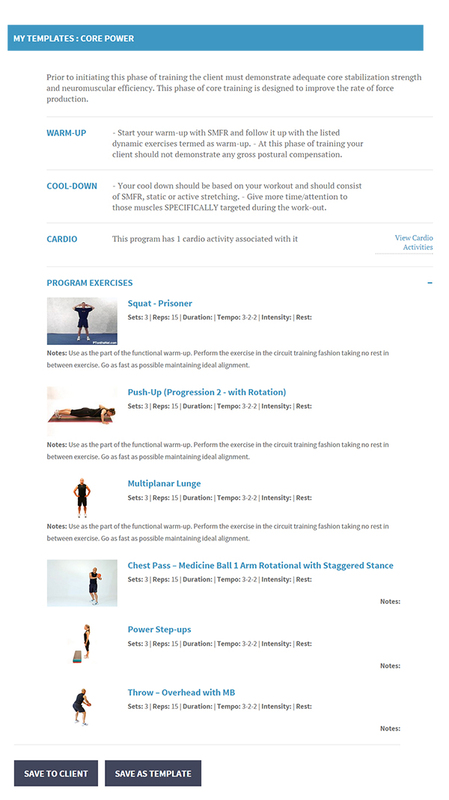 Once you have finished building your custom exercise program, you can save it as a template and send to a client immediately, and also have on file to modify for future clients. 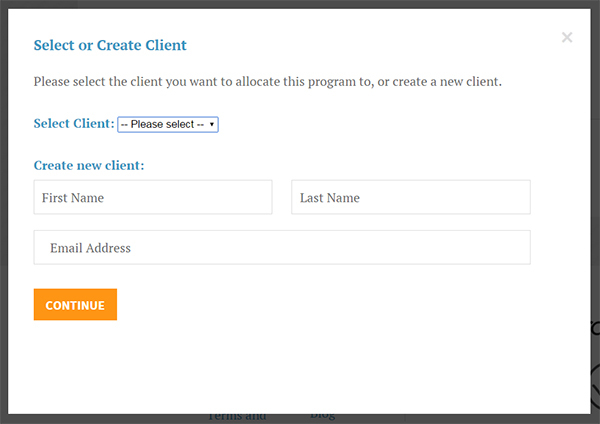 Select a client from a list of clients you’ve previously entered or add a new client to your client database. Send the program to your client via email, Facebook, Twitter, or even save it as a PDF to print. Start sending credible exercise programs to your clients with ease! 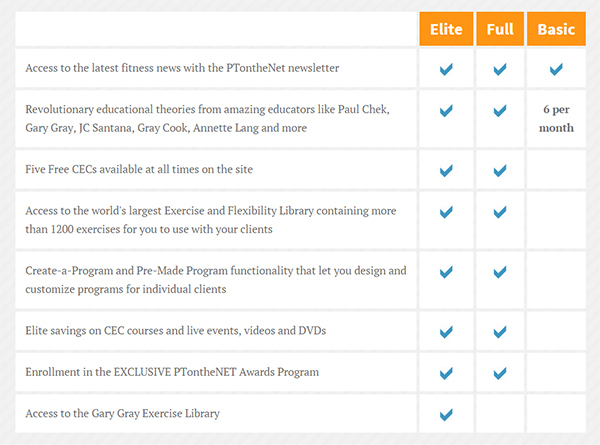 Join PTontheNet as an Elite, Full, or Basic member (Exercise Library and Create-A-Program tool not available to Basic members). As the world’s largest and most comprehensive continuing fitness education resource, PTontheNet is the first and final stop on your fitness education journey! We offer over 3,000 articles written by a host of internationally acclaimed authors; the world’s largest online Exercise & Flexibility Library; leading edge assessment tools and program design technology; audio clinics and live workshops with top industry presenters; DVD and video courses; cutting edge web design; functional product discounts; CECs with every major certification body; and much, much more! Personal Training on the Net (PTontheNet) is the ultimate online fitness educational resource for personal trainers. Membership includes use of our comprehensive exercise library and program design templates as well as access to thousands of articles, videos, weekly blogs, and assessment tools for health fitness professionals. Members also enjoy access to free personal training CEC exams, research from the leading innovators in the industry, and a community forum where questions are answered by peers and fitness industry experts. PTontheNet’s mission is to inspire, educate and unite all personal trainers and fitness professionals by providing great information from every fitness school of thought.